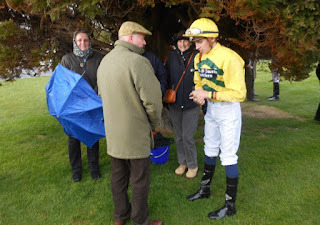 Linda sent four horses to Plumpton today and it turned out to be a good day. 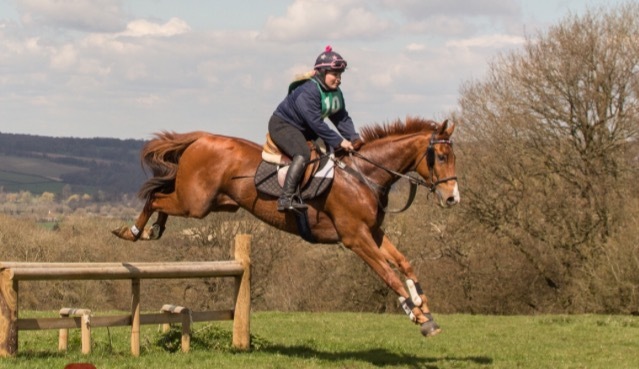 First Kayflin put her previous bad chasing experiences behind her when she tried the larger obstacles again. She jumped beautifully and looked the part finishing third. 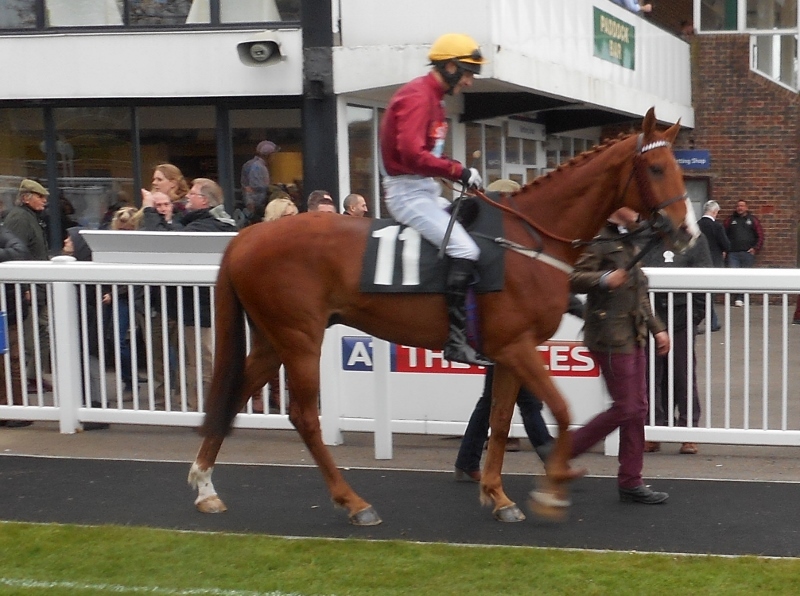 Then Red Anchor won the "Best turned out" award for the three mile handicap chase. Red Anchor beautifully turned out. In the following race, Fifi L'Amour put last week's poor showing behind her when storming up the home straight to finish a close up third. Fifi L'Amour comes in after her third place. 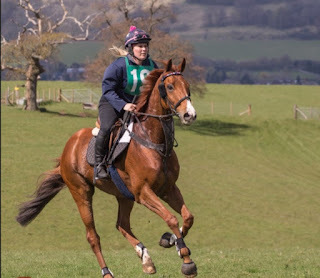 A change from the norm is often a tonic for the racehorses so Karen took Red Anchor (Ginger) to the East Kent ride (12 miles and 20 jumps) where they both had a great time. Hopefully the effect will show itself in his next race. The outside broadcast unit from Radio Kent came to the stables today to do a piece for the Breakfast Programme, as the Grand National meeting at Aintree begins this afternoon. They interviewed Linda and the staff to get a feel of what National Hunt racing and training is all about and later phone linked to Leighton Aspell, the winning rider of the National for the last two years. 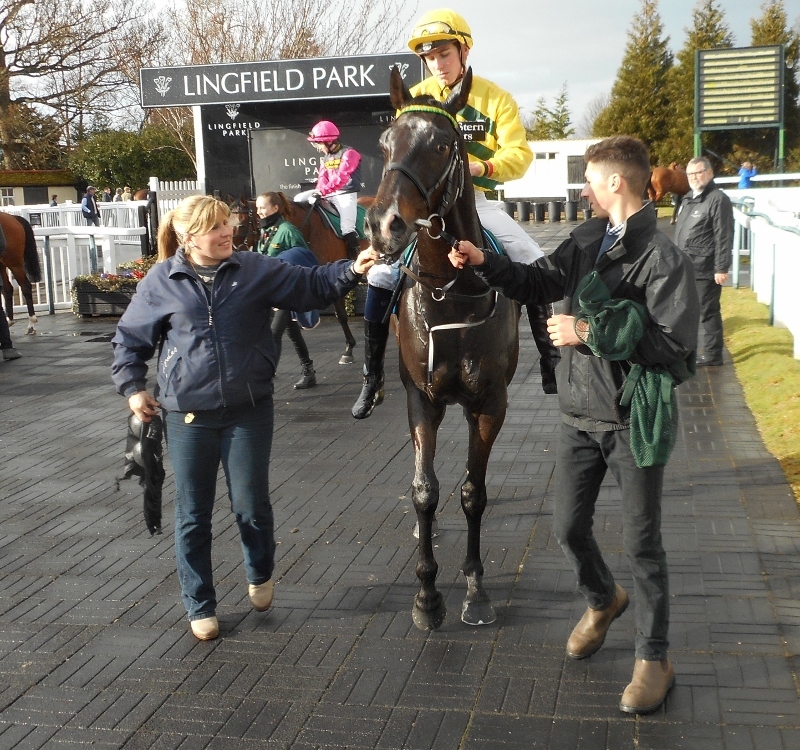 Claude Greenwood delighted his supporters when he finished third today at Lingfield. 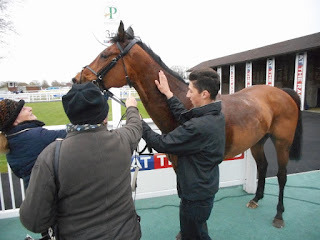 A heavy downpour just before his race didn't dampen the enthusiasm of connections sheltering under the tree in the paddock.. 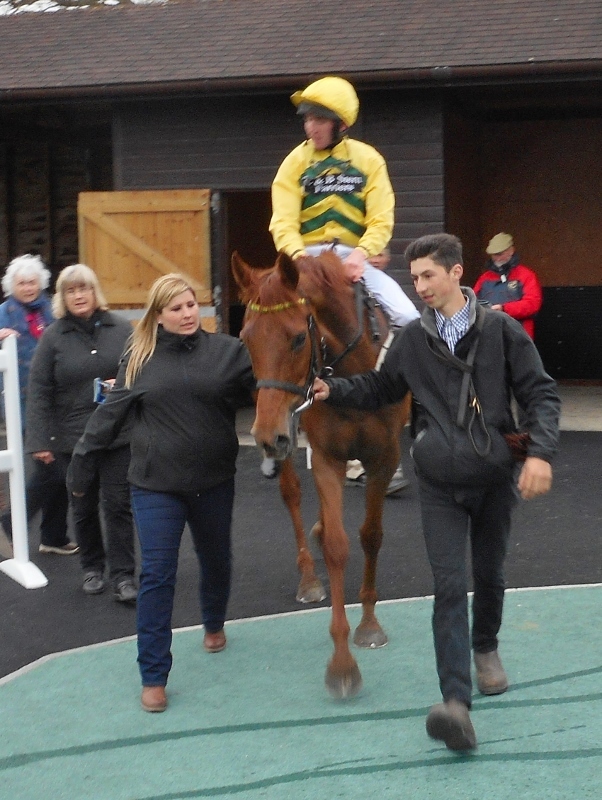 The plan was to make the running, but jockey Hector Crouch couldn't get to the front, despite a good break, and he settled Claude just behind the leading pair. 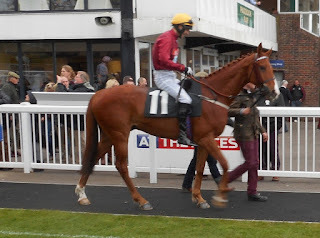 Claude was pushed along two furlongs out and he stayed on at one pace on the inside rail to maintain his third place, beaten two and three quarter lengths and three quarters of a length, and just a neck ahead of the fourth placed horse.